Not every Sunday is a mountaintop. Our hearts often feel sluggish when we come to worship. Distractions around us may abound. Shame over sin can make us feel like hypocrites. Our lives in this fallen world are endlessly up and down. Even in corporate worship. Perhaps especially. This is what makes our weekly gathering so important. We lift our voices together and turn from that week’s “fleeting pleasures of sin” (Hebrews 11:25) to the superior pleasures to be had in Christ. We help each other move higher up the mountain. And in that process of being renewed, and gaining strength for the daily and weekly demands of life, we find our coming together in worship to be the single most important means of deep and enduring joy in God, even as coming to enjoy him can be an extended process. But up or down, high or low, with what frame of mind and heart do we come to worship together? Our God is the all-satisfying fountain of living waters (Jeremiah 2:13). When we seek to quench our deep soul-thirst in him, corporate worship becomes the stunning opportunity to gather together not just with fellow believers, but with fellow enjoyers of God. In worship, we enjoy Jesus together as water for our thirsty souls, as milk to nourish our spirits, and as wine to gladden our hearts. God offers a banquet to the human soul — not mainly for individual snacking but for corporate feasting. We do find encouragement in gathering consciously with fellow believers. In a world that suppresses the truth in unrighteousness (Romans 1:18) — and lies to us subtly and overtly at every turn that self, not God, is in control — finding ourselves in the assembly, in the congregation, of believers can have a powerful effect on reinforcing our faith. God exists. He made our world. He rules over its every detail, even our sin. And he sent his own Son to rescue us from our sins, and the punishment we justly deserve, by faith in him. And yet, when we gather in corporate worship, we are more deeply knit together than simply the truths we affirm. A stronger tie that binds us is whom we enjoy. We share in a common joy with uncommon worth: the greatest treasure in the universe. Is it assuming too much to think of your fellow worshipers as fellow enjoyers of Jesus? Not at all. Saving faith is not indifferent to its Savior. “I am the bread of life,” Jesus says, “whoever comes to me shall not hunger, and whoever believes in me shall never thirst” (John 6:35). Note the parallels in what Jesus says. Not hungering pairs with never thirsting. And coming to Jesus pairs with believing in him. What, then, according to John 6:35, is Christian faith? It is “coming to Jesus” — not bodily or geographically but in the soul — to have our soul-hunger satisfied and our soul-thirst quenched. There is an irreducible aspect of enjoyment in such faith, whether the believer is conscious of it yet or not. There is a kind of “joy” that is not only the fruit of faith (Galatians 5:22) but an essential aspect of faith (Philippians 1:25; 2 Corinthians 1:24). Fellow believers in Jesus are fellow enjoyers, with us, of him. Our corporate worship truly is an enjoying Jesus together. 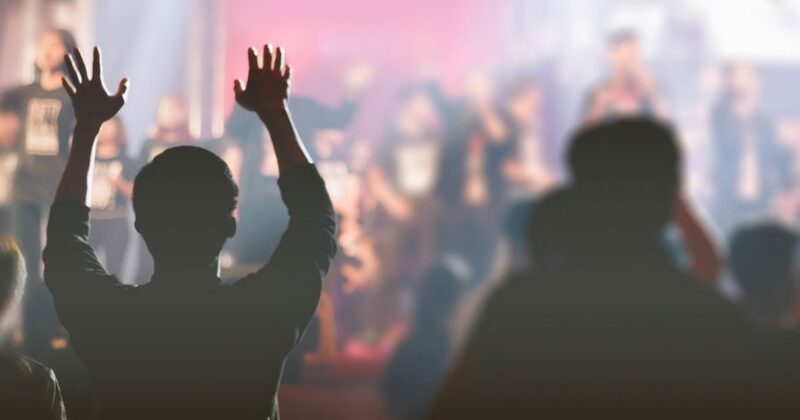 Whether or not we come in worship as enjoyers, not just believers, may reflect how deeply we see God as our Father — a true Father who we know fundamentally as a giver, not taker. Hebrews 11:6 defines faith as not merely believing that God exists but also that he rewards those who seek him: “Without faith it is impossible to please him, for whoever would draw near to God must believe that he exists and that he rewards those who seek him.” Faith does not come to God begrudgingly. Faith does not expect the worst from our Father. Genuine faith not only believes God exists but comes to him as a rewarder. In corporate worship, we gather together expectantly, reminding ourselves that God is our giving Father. This is who he is. This is what he loves. God delights in cheerful givers because he himself is one. This is what he produces in the hearts of his people. Not dutiful, reluctant, obligatory worship, but willing, eager, cheerful praise. The kind of worship that comes to him as a rewarder, not a killjoy. As a treasure, not a troll. As the great satisfier of our souls, not as a slavemaster conscripting our service. How might it change corporate worship for you to scan the room and think, “These men and women around me, of all ages, not only believe in the truth of Christianity but they enjoy the God of Christianity”? As we sing, we are enjoying Jesus together. As we pray, we are enjoying him together. As we hear his word read and preached, we are uniting our hearts together in the God who himself, in the person of his Son, became one of us, and lived among us, and suffered with us, and died for us, and rose triumphantly from the grave, and now sits in power — with all authority in heaven and on earth — at his Father’s right hand bringing to pass, in his perfect patience and perfect timing, all his purposes in our world. For our everlasting joy. Together. Together we not only find this God believable; we find him enjoyable. And not marginally enjoyable. But supremely so. Our souls — not just as individuals but as the church — were made to feast on him, to have him, to enjoy him. And not just in this moment, and not just for a season, and not just for a lifetime, but forever. Desiring God produces God-centered resources from the ministry of John Piper. Its mission is to produce and distribute resources that spread a passion for the supremacy of God in all things for the joy of all peoples through Jesus Christ.